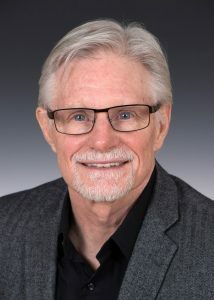 Dr. Carl Siegel, Clinical Psychologist, specializes in Imago Relationship Therapy and dynamic approaches to individual, couples and group therapy. He has a particular depth of competence in addressing the psychological, emotional, and spiritual development of men. His popular Imago Relationship Groups offer men a safe place to grow and enrich their relational skills and integrate the psychological, emotional and spiritual aspects of themselves. Dr. Siegel is also passionate about working with couples. He is skilled in helping couples communicate productively, while building understanding and empathy about the many challenging issues that couples face. After over 25 years of doing this work he continues to be inspired by the courage and determination of his clients to grow and heal. While trained in a number of different therapeutic modalities, he is grateful for and values what he has learned from his clients the most. He is a highly credentialed, seasoned therapist, and workshop presenter. These credentials include certification as an Advanced Clinician in Imago Relationship Therapy and certification as a workshop presenter for the “Getting the Love You Want Workshop of Imago Relationships International”. Prior to his training as a clinical psychologist, Dr. Siegel served in parish ministry in the Episcopal church. He brings his experience and training from both vocations, as a clergyman and psychologist, to bear on the art of healing the soul and helping people to find more rewarding ways of working and living in relationship. Dr. Siegel is the Executive Director of the Imago Center and has been working there since 1990. His life is greatly enriched by his two sons. He finds great joy in fly fishing, gardening, and yoga.